And what do you do with those other keywords that don’t have buying intent? They do – let me explain. Which Keywords Have Buying Intent? For starters, these keywords go on website pages aimed to sell. Those include all the pages in your main navigation. So, your home page, services pages, geo-targeted city pages, about, and contact pages should have these keywords and close variations. Which ones should you use on those pages? Generally, you should go with “[city name] + [your service].” That’s a start, anyway. So for example, “Dallas criminal defense attorney” is a good start. But there’s one problem with it – it’s tough to rank for. If you go to the Google Adwords keyword planner, you’ll find there’s 210 monthly searches for this keyword. That means, for a small law firm or single lawyer anyway, it’s going to be expensive and time-consuming to rank for. But if you keep checking out more variations, you eventually come across “Dallas criminal defense attorneys,” which has just 20 searches. Fewer searches, yes, but less competition in the ultra-competitive legal niche. Well, this is a pleasant and unexpected surprise! Notice that not a single result uses “Dallas criminal defense attorneys.” They use close variations, but not the exact term. That’s a nice opportunity because if you optimize for a keyword exactly, you have a bit of an advantage over other websites that don’t. FYI – if only 2-3 results optimize for a certain keyword, that still gives you good opportunity. If more than that do, you may want to pass on that keyword. 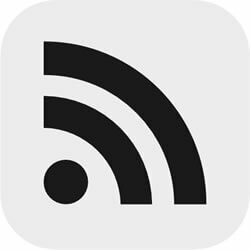 They go in your blog. Unlike your web pages which aim to sell now, blog posts inform and educate with the idea of making the sale 6 months from now. 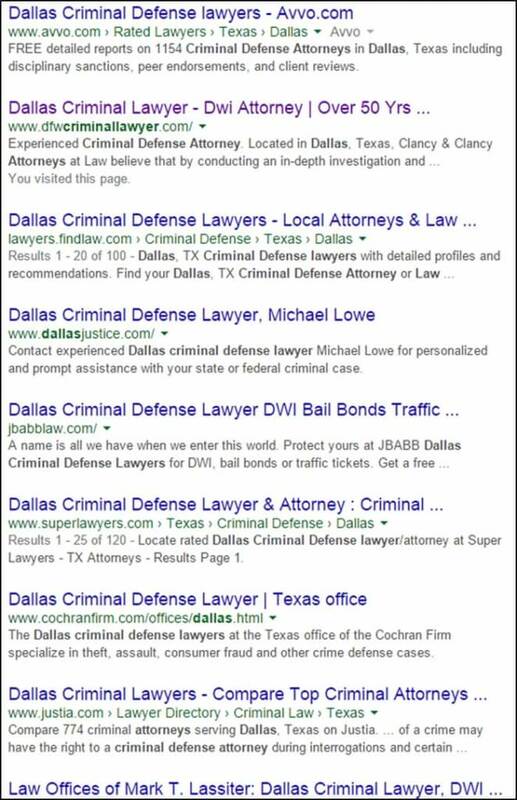 You don’t want to put “Dallas criminal defense attorneys” in your blog too often. That’s because it’s too hard to make that phrase sound natural. If it doesn’t sound natural, that irritates Google and your readers. But you probably could make it sound natural in an occasional blog post. The amount of keywords you can put in your blog is almost endless. Again, all these keywords appear in Google Adwords. At this point, you know people searching for these terms have an interest in a criminal defense lawyer. So that’s good. And then a portion of them will keep hanging around your blog until they’re convinced you’re the best lawyer to hire. That’s keyword research 101. 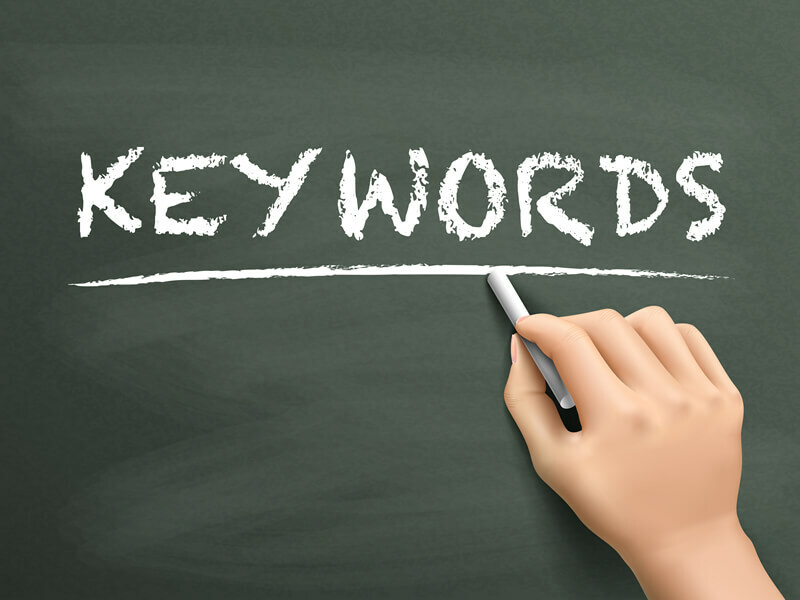 With these keywords, you get all relevant and appropriate traffic for your site that could eventually turn into business. While the keywords change, the process works the same for every industry. If it seems to hard or you don;t have time, hire a professional SEO to help.